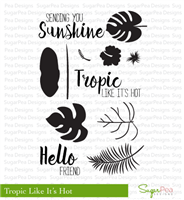 You wont be able to resist adding a tropical twist to your summer projects with our, Tropic Like Its Hot stamp set. 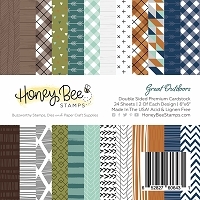 This 46 stamp set features a mixture of fun and bold sentiments that work seamlessly with the two-step palm foliage images. 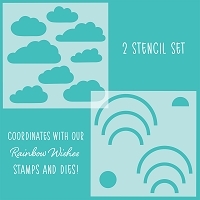 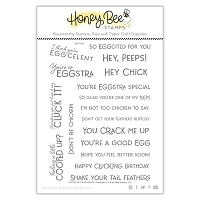 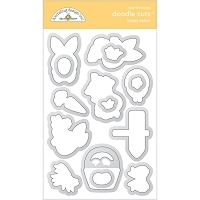 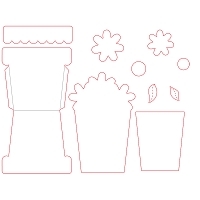 And to make creating a breeze, pair this stamp set with the coordinating, SugarCut Tropic Like Its Hot die set (sold separately) for quick, easy and professional paper crafting projects.